Is it cool to darn socks? How many people really know how to darn socks? Do you take the time to mend them, simply throw them out, or do you give them to good will? Why not learn how to darn? In the business world and news, trending topics are still about recession aftermath - economy and jobs. What does this mean to you? Will you be affected with this? Will you go on a personal vacation? Think of traveling like darning your socks this year. Find a way to stretch your dollars to do what you want to do. If you are searching for work, I do understand the challenging times you may face. Many times other people don't think about how this affects their friends. They don't know what your actual situation may entail - and it is unfortunate that they include you in things to do without thinking about your personal struggles, expecting you to keep up with them. Even though you have an abundance of time, are you really even thinking about a vacation for yourself right now? You should. Even if you may not be able to afford the trip right now, why not escape from the work search and go to the library to do research on where you really want to go once you get the job? Many libraries even have tapes and videos of international languages and customs that you may practice for free or at a low cost. Personal vacations are time to get away, clear your mind, relax, and have some fun. Research attractions close to home - places you never seem to have the time to explore while working. These are less crowded during the week and it is a chance to get away from your busy thoughts. 1. Start to plan your future vacations in advance rotating periodically every six months – example is to plan a long vacation, and take a short getaway. When you are working or after you find work, set aside a $30 (or an amount correct for you) weekly for your adventure. 2. 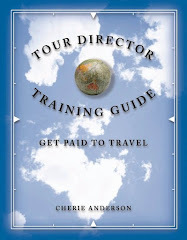 Travel to a local region or within USA. Don't forget places like Glacier National Park and Alaska have changing environments - take the time to see now. These places may not be as expensive as going to international regions. Canada is an affordable and easy international getaway to research. 3. Solo travel is fun, yet not for everyone. What group do you hang out with? Fuel surcharges and hotel rooms may be expensive. Traveling with a group helps by splitting expenses between your friends. You might find people in your book groups, knitting groups, lawn bowling group, Facebook group, family group – what groups are you active with? Find out who might go with you and set aside dates now. First ask them to go for a coffee or ice cream with you. Get acquainted before your trip. 4. Make a list of places in your favorite region like deli’s and restaurants for meals, grocery stores, events. Find picnic friendly places to go with your friends on weekends. This is fun and not to expensive. 5. Use your souvenirs for gifts. Organize your digital images. Create your own earrings, bracelets, and key chains. Send these collections to your family and friends. 6. If you want to travel internationally, remember to save now and pay cash as much as you can. Create a budget. Don't over charge your credit cards. These new vacation goals are important reasons to accelerate your job search (or to keep that job you have now). Research your ideas now. And remember to stretch those dollars you do have. Darning socks can be cool! Don't let one hole in your sock get you down right now. What are you doing to create your next trip goal? Did you like this article? Please review the items in this sidebar and share with your friends. Share with comments below.